Like Warren Buffett who made a big investment in renewables just before the holidays, Google announced its own $200 million equity investment in a west Texas wind farm on Wednesday. 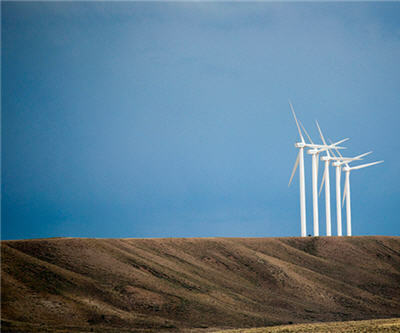 "In late December, while most of us were busy wrapping presents, our Treasury team was tying a bow on our most recent renewable energy deal: an approximately $200 million equity investment in a wind farm in west Texas that generates enough energy to power more than 60,000 average U.S. homes," wrote Google on its blog. The Spinning Spur Wind Project is located in Oldham County. It is a wide open, windy section of the Texas Panhandle that is located about 35 miles from Amarillo. The facility was originally built by EDF Renewable Energy. The site has 70 2.3 MW Siemens turbines that started spinning full time just before the end of the year. The utility primarily serves Texas and New Mexico. Warren Buffett made an even bigger splash in renewables in December. His MidAmerican Solar paid $2 billion to $2.5 billion for the 579-megawatt Antelope Valley Solar Projects from SunPower Corp., the largest photovoltaic project in the world. GoGreenSolar says Buffett's project will be huge. "To give you an idea of how massive this project is, a solar panel used in residential applications might be around 230 Watts. That would mean more than 2,500,000 230 Watt solar panels," writes the blog. Buffett also put money into wind. MidAmerican Wind completed installation of the 300MW Pinyon Pines I and II California project consisting of 100 3MW turbines supplied by Danish manufacturer Vestas. MidAmerican Energy Holdings has total renewable assets such as wind, solar and biofuels that are capable of generating 1,830 megawatts. Renewable tax credits spurred developers, which expired on Dec. 31. The tax credits gave wind its biggest year ever. Google has made 10 renewable energy investments since 2010.